For the month of May, our bike shop is highlighting locally owned cycling sundry companies and locally made bicycle products! Check out our new bags from North St. and Black Star and our new line-up of lights by Portland Design Works. Also, stop by to see our regular selections of products by BLAQ, Bundle and Stow, Double Darn, Kool Stop, Nutcase, Showers Pass, and T.Rex Arms. 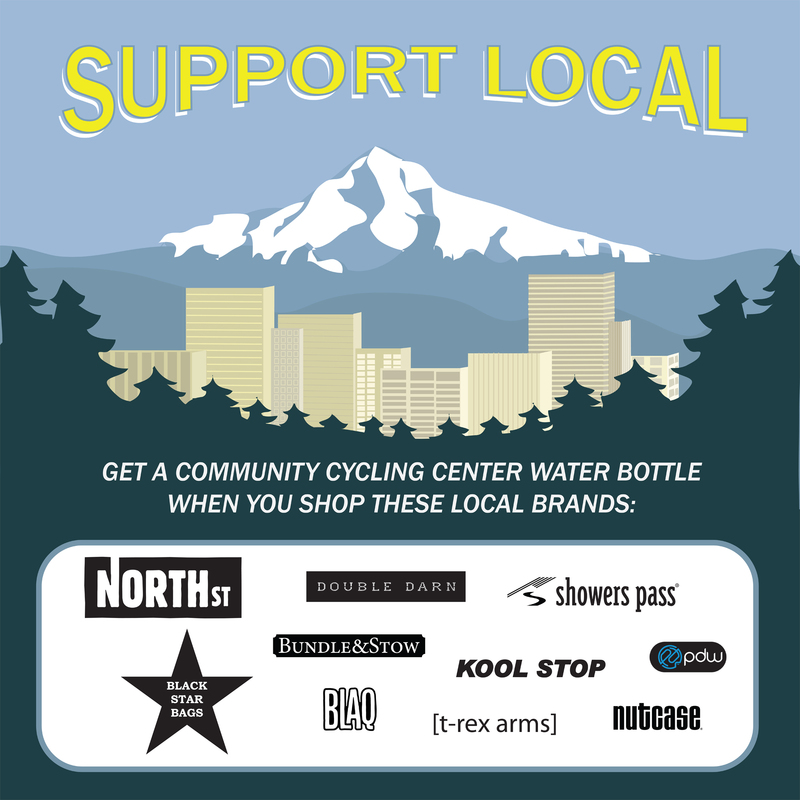 During the month of May, the purchase of any locally made product gets you a FREE Community Cycling Center clear water bottle of your choice. That’s not all – we’ll give you a FREE insulated Community Cycling Center coffee mug with purchase of any backpack, messenger bag or pannier by North St. or Black Star Bags. 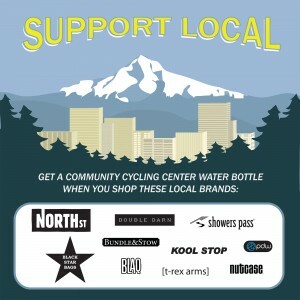 Help grow Portland’s thriving bicycle industries and support your favorite local bike shop at the same time!